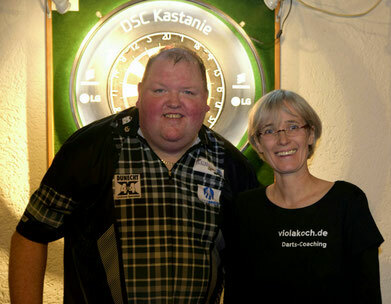 Darts Coaching - violakochs Webseite! 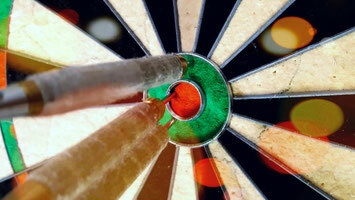 Darts is a precision sport that demands high concentration and accuracy. The control of our hands occupies a large area in the brain. This makes it understandable that even minimal stress such as negative thoughts or unpleasant emotions reduce the accuracy. Restrictive beliefs, excessive demands on performance or a low error-friendliness can prevent us from showing our full potential. Use my darts coaching to improve your performance and enjoyment. What is possible with Darts Coaching with wingwave® and PEP®? With many years of experience in various coaching methods and enthusiastic about the sport of darts, I work in individual or group coaching. In individual coaching, we can find individually find exactly the stress factors that block you through the muscle test . In a group (for example, in your club), I show a method to reduce self-stressing emotions such as anxiety or anger what is certainly not only helpful for the sport context. PEP has a clear structure and is thereby easy to learn in a group - without anyone having to reveal anything about themselves. A self-value coaching related to game performance is in addition to the individual coching also possible in a group context. Transforming self-worth robbers into self-worth donors is essential to be able to show their own performance in competition. The method is of course applicable in other sports as well! I offer a free half-hour introductory appointment. That means I plan for the first appointment 1,5 hours time. After half an hour you can decide if you want to continue and work for an hour. This has proven to be very good, as we have enough time to make noticeable improvements already in the first session. With my fast and effective methods usually only a few sessions are necessary (between 1-5 appointments depending on the topic). Group workshop prices are calculated either per participant or as a total amount with the organizer.